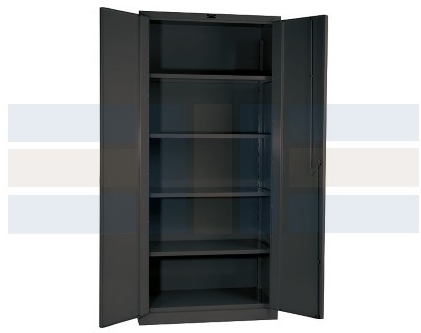 Metal combination storage and garment hanging cabinets allow you to combine your storage space efficiently. The 20 gauge steel is durable for long-lasting and continuous use, but still provide a clean and professional appearance. Because of their durability and appearance, the cabinets are great for any environment whether it’s your office or warehouse. With three cabinet configurations (storage, wardrobe, and combination). 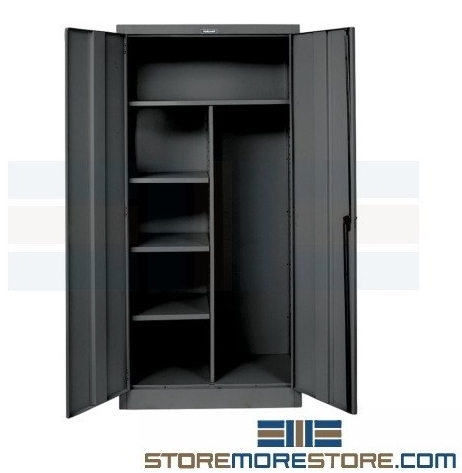 Storage cabinets include one fixed upper shelf and three adjustable shelves, wardrobe cabinets include one fixed upper shelf and coat rod, and combination cabinets include one fixed full-width shelf, three half-width shelves, and a half-width coat rod. 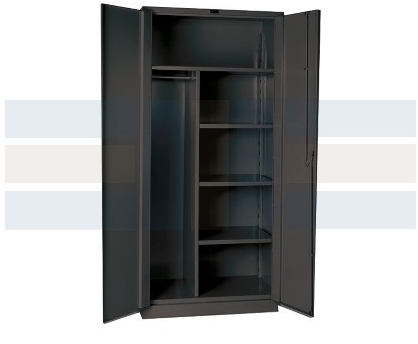 The metal combination storage cabinet is a great option for storing uniforms and related gear in one area for easy access. Additionally, the cabinets are available with three door types depending on your application: solid, clear, and ventilated. 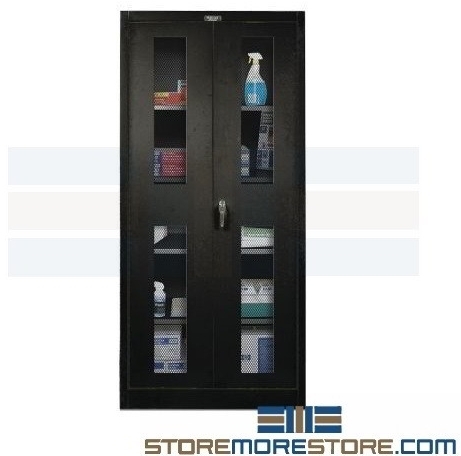 Metal combination storage cabinets for supplies and hanging garments are available to buy online assembled or unassembled. Cabinets ship quickly in 7-10 business days. For further assistance, give us a call at 1-855-786-7667. One of our storage experts will help answer all of your questions.